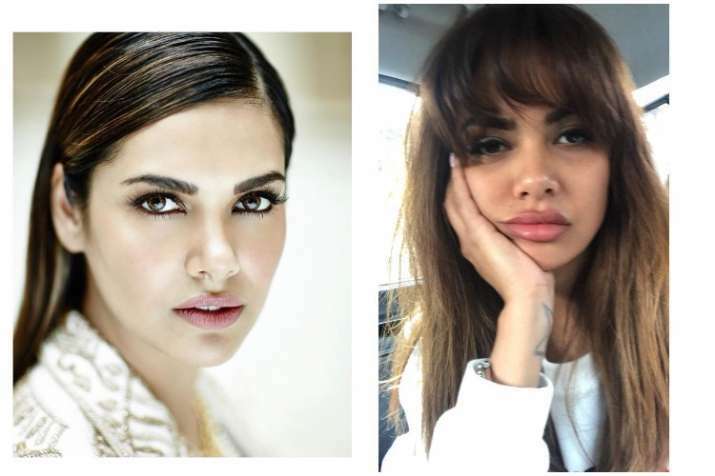 Actress Esha Gupta’s pictures have always been talk of the town as the lady has managed to raise the hotness meter every time she shares her pic on social media. Lately, the charismatic beauty is looking different in the latest pic that is raising many questions on social media. If you look at the pic closely, you will find her lips visibly different. Thus, people on internet are speculating if the lady has gone under the knife. Nobody knows the truth but people on social media are doing the thing they are best at. Yes, the lady is being trolled with people suggesting that Esha has had plastic surgery. Checkout some old and new pics and notice the difference. Now, it is yet to be seen if Esha has really gone under the knife or it’s a new makeup technique for her project. Only the actress has the answer to these questions. The lady is also being compared to Hollywood actress Angelina Jolie on social media. On the professional front, Esha was last seen in 2017 film Baadshaho. It was a multi-starrer film that also featured Ajay Devgn, Ileana D’Cruz and Emraan Hashmi in pivotal roles. The movie couldn’t perform well at the box office.